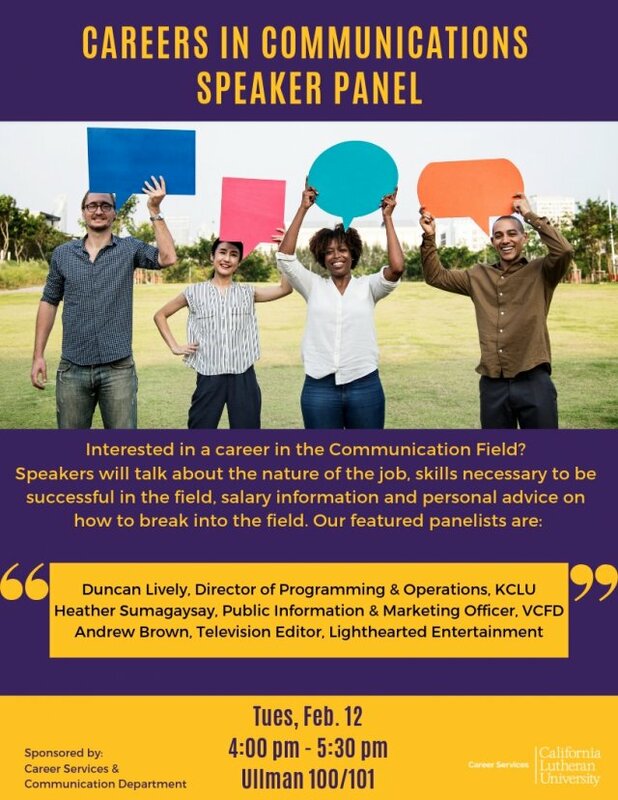 Interested in a career in the Communication Field? Speakers will talk about the nature of the job, skills necessary to be successful in the field, salary information and personal advice on how to break into the field. This event is part of the Career Services series.